It took Blacky about four weeks to get up on his feet and another four weeks until he started perching. At this point he still had difficulties to fly up to a perch, therefore we adapted the aviary to allow him to also walk or climb his way up. We also made sure that accidental falls did not cause Blacky any injuries by sufficiently padding the aviary floor and by moving perches gradually higher corresponding to his improving physical strength and ability. And so Blacky did continue to improve slowly but steadily over the next weeks. At this point in time we did not have any adequate company for Blacky, and we started to look around to find a corvid-friendly wildlife rescue, which would be able to provide adequate company and which would also be able to take care of him long-term, as we envisaged that it would take Blacky at least a year to get to the stage of releasability. During our search we also took in account that we wanted to find a suitable place, which would keep unreleasable birds, or would endeavour to find a permanent home, just in case it would turn out that Blacky would not have made the necessary progress. 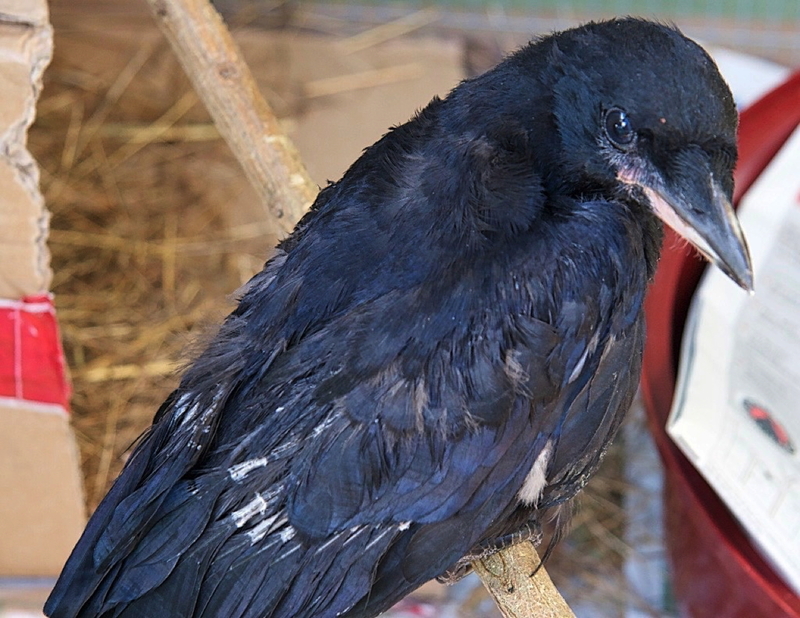 After an extensive search for such a corvid-friendly rescue, many fruitless phone calls and enquiries we eventually found a place for him in a large reputable wildlife rescue, which seemed to fulfil all the criteria we searched for. After a long journey we arrived and got shown around in the rescue centre. At the time we have been impressed by the good quality of facilities and aviaries. Reassuringly, we also met several residential corvids, which appeared happy and in a very good general condition. Then the moment came, where we have been asked to sign Blacky over into the care of the rescue centre, which we did, but not without handing over a detailed written medical case history to bring the local veterinary surgeon, carer and nurses up to speed with the specifics of Blacky’s case and situation. Before we left, we watched Blacky being moved into a small hospital cage for short-term quarantine measures, which contained a single high perch, which we regarded too difficult for Blacky to reach. We pointed this out and have been believably reassured that Blacky would be moved very much soon into a more suitable accommodation. With very heavy heart, and after leaving a substantial donation, we parted and made our journey home. The next day we made a phone call to find out how Blacky has settled, and to our horror we got told that Blacky has just been euthanised, because the veterinary surgeon had decided that he would never make it, as he was not perching as he should do for his presumed age. Our hearts were broken, and still are, when thinking about what happen to Blacky, who trusted us and made such steady progress within a relatively short period of time. The apparent ignorance, but also the lack of expertise and compassion of those presumed experts in the field, who lied straight into our face, was shocking, but, as we found out later, not an exceptional case. Tragically and almost ironically, by trying to do the best for Blacky, by trying to avoid imprinting and by trying to provide the company he desperately needed, we failed him. Many other birds like Blacky came into our care since, and quite a few of them with similar conditions. Almost all of them have been successfully treated and released the same or at least the following year. 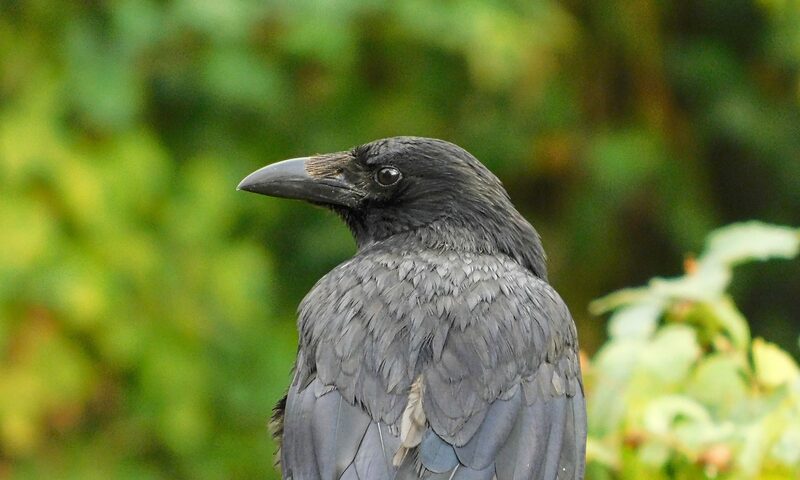 With growing experience and knowledge, but also by learning the hard way, we had to recognise that there are only very few truly corvid-friendly, ethically acceptable and trustworthy places, which are willing and more importantly capable of providing longterm rehabilitation care and facilities. Many wildlife rescues and rehabbers have got some kind of euthanasia policy. However, when looking closer, it becomes often apparent that most of these policies are not as clear and transparent as they should be. The terminology being used often refers to terms like ‘unreleasable animals’ and ‘to avoid unnecessary suffering’, which sounds reasonable at the first glance. But by looking more closely it transpires quickly that there is no clear understanding or written definition of the terms used lacking for example a detailed explanation of what is being regarded as ‘unreleasable’. 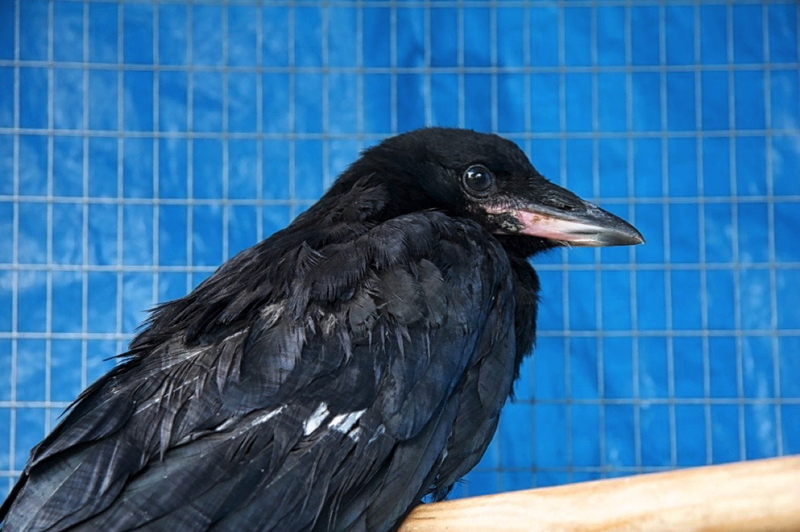 The truth is that some of these rescues, even those which call themselves corvid-friendly, are in fact euthanising every single bird, which cannot be released within a certain, often unrealistically short period of time. This practice includes healthy birds, which need nothing more than an annual moult to replace deficient or broken feathers. Also, it is important to understand that the signing over process, which is a common, recommended and acknowledged practice, will transfer the full legal responsibility into the hands of the rehabber or wildlife rescue, which includes, amongst other things, decisions like euthanasia, treatment options or release site. Rest in peace Blacky! 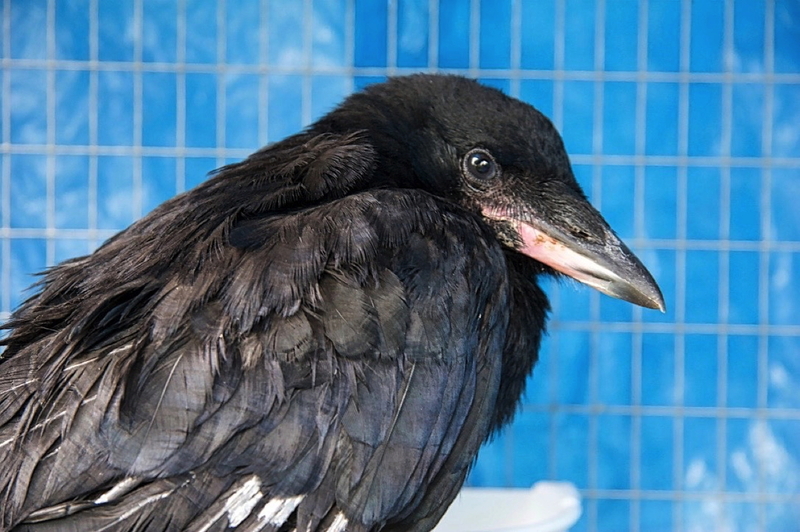 You did change our lives, and the lives of hundreds of corvids, who came into our care after you have sadly left. Blacky, you will never be forgotten!